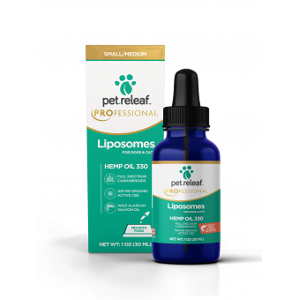 Our Liposome Hemp Oil 330 includes an Organic Full Spectrum Hemp Oil extracted using a super critical CO2 extraction method. This product is perfect for small to medium sized dogs and cats who require the use of food to take supplements. It has no known contraindications (won’t interfere with other medications) and no known negative side effects.